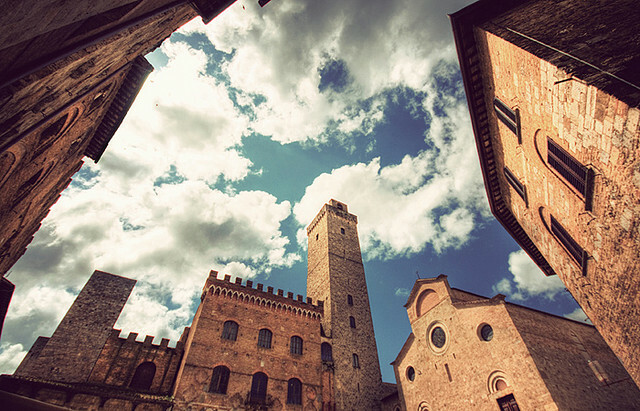 San Gimignano is nicknamed the Manhattan of the Middle Ages due to its 13 towers and its beautiful squares. On top of a hill, surrounded by walls, San Gimignano is one of the better kept medieval towns of the region. The Via Francigena, the Guelph and Ghibellines, the Vernaccia wine, all witnesses of centuries of history. Near Siena is located Monteriggioni, a fortress of the 1200 with 14 watch towers. “A crown on a King’s head”, this is what it looked like to Dante. It was terrible obstacle to the Florentine armies in the 15th century. Today is a pleasant stop for a traditional lunch. Siena, the gothic dream city. The Duomo with its colored bands of marble, dating from the 12th century. The stunning interiors, with the Pulpit of Niccolò Pisano. The Hospital of Santa Maria alla Scala with the recently opened room of the Pilgrims, a showcase of frescoes of the 13th century. 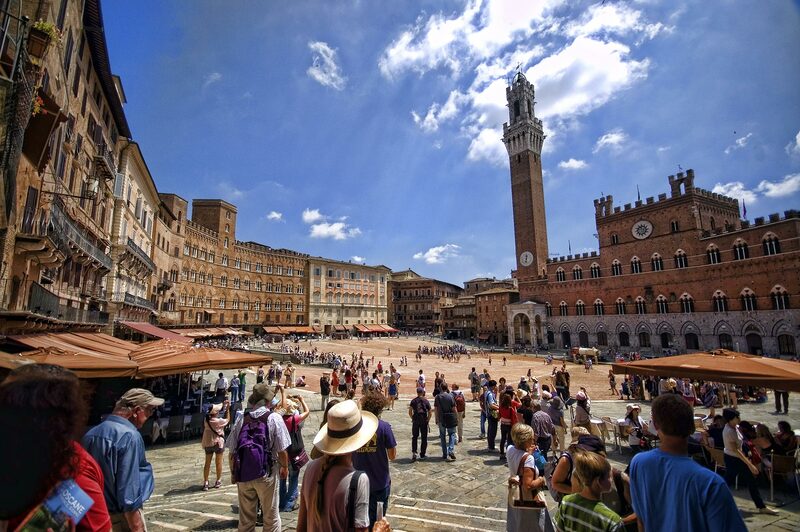 Piazza del Campo, the race track for the Palio shaped as a shell, with the Palazzo Pubblico filled with important works of art.